Capgemini Company Career Jobs Opening 2018-2019 Various Accounts Executive/Accountant Posts Download Application at www.in.capgemini.com Capgemini Career Job has Recently Announced 2018 regarding Accounts Executive/Accountant & Various Job Openings Interested and Eligible Candidates can Download Application Through Official website. 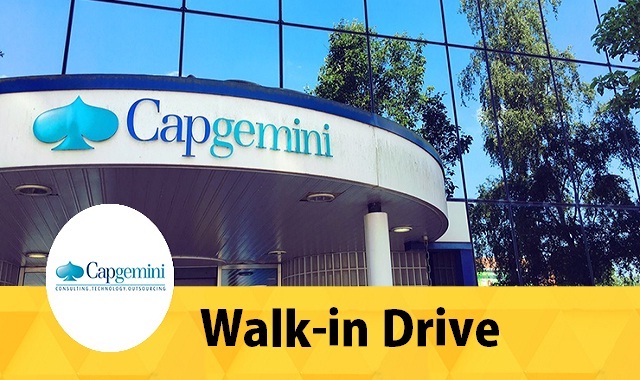 Capgemini Walk-in Drive || Accounts Executive/Accountant @ Trichy- Apply Now. Min 1 - 4 yrs exp in Accounting or Audit Assistant. Updated Resume, Recent Photograph and all educational & employment documents.